I feed my courgettes on standard tomato feed, as I do with all the flowering, fruiting vegetables that I grow. The plant, buried by the plant, above, has the bottom cut out. I water many of my vegetables etc in this way as I can ensure the water/feed gets right to the roots, avoid wetting the plant and the soil will retain more moisture and be less prone to drying out via evaporation. 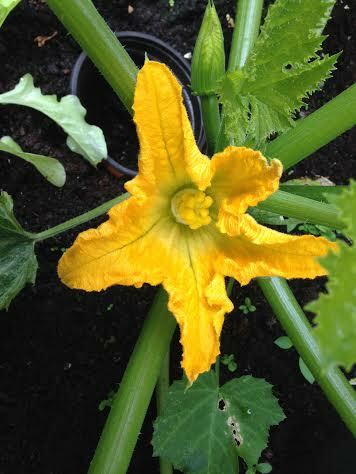 This entry was posted in The 'Urban Farm' and tagged ambassador, courgette, feeding, flower, growing, tristar, varieties, watering, zucchini. Bookmark the permalink.